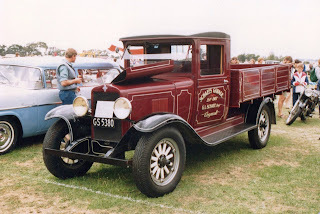 Chevrolet International from 1929 in a display at Ohakea air force base. 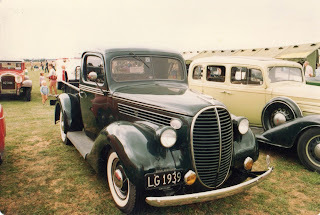 A 1939 Ford at the same event. 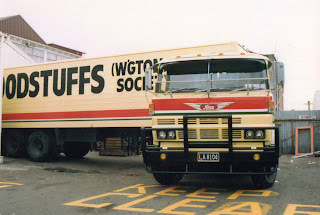 Matte Franicevich passed through Masterton in his brand new Pacific. 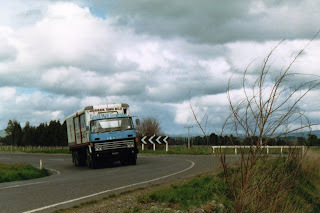 Many hours drive ahead to his base back in Dargaville. 1982 Isuzu VQR of Masterton Town Milk crosses the centre-line, heading back to Masterton's Willowbank Dairy milk treatment plant, with a load of empty bottles from Martinborough. 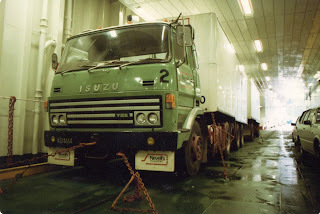 Hino ZM being operated by NZ Railways Road Services. 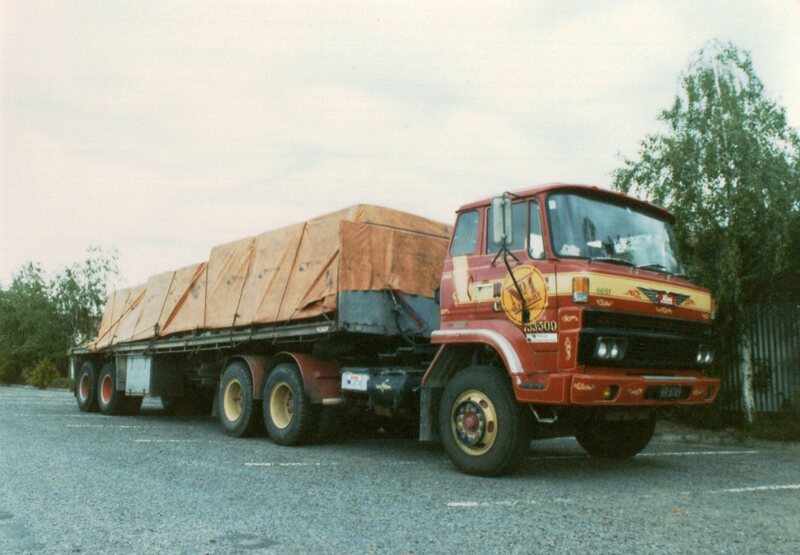 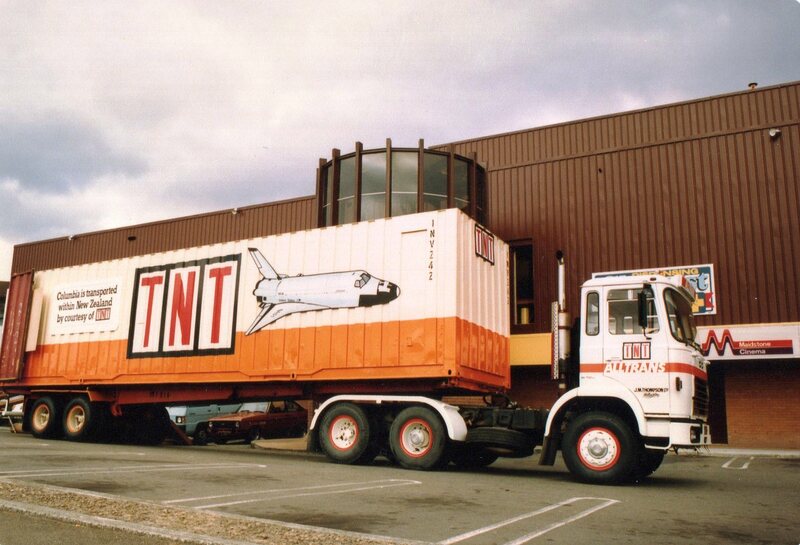 6x2 Seddon Atkinson pulls a container full of space shuttle. 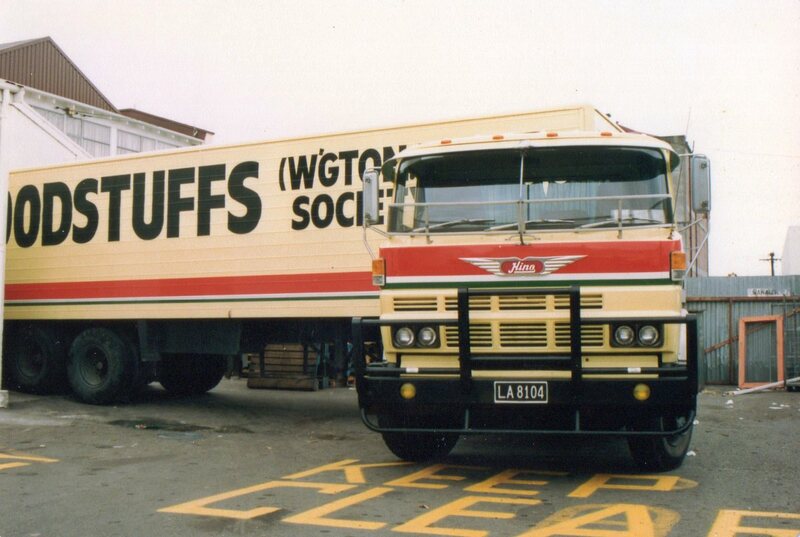 Seen here at the Maidstone Mall in Upper Hutt. Isuzu VHR from 1982, in A-train configuration, is lashed down ready for a ferry crossing between New Zealand's North and South Islands. New 1984 Volvo F10 of TNL (Transport Nelson Ltd) on display at Palmerston North's Pascal Street stadium. 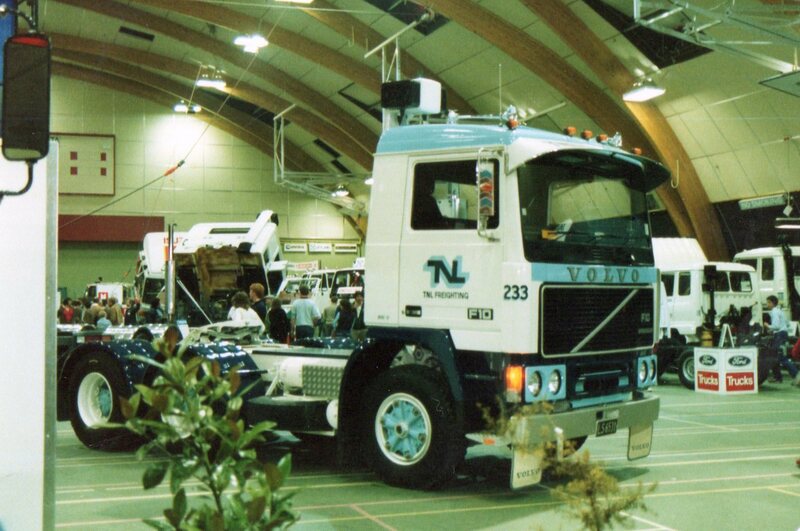 NZ received both Australian sourced Volvos and Swedish sourced models at different times around this era. This is an Aussie one with its trilex wheels, curved aluminium sun visor and flat glass west coast mirrors. 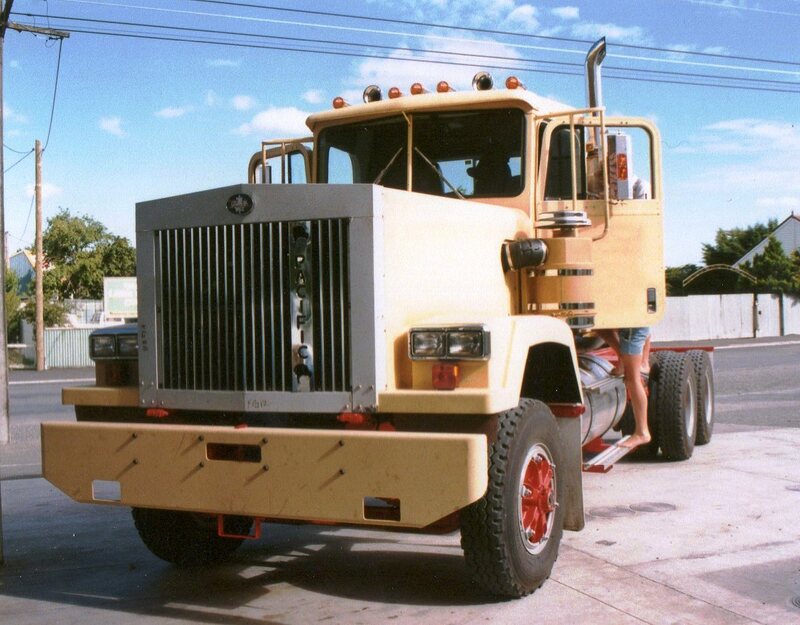 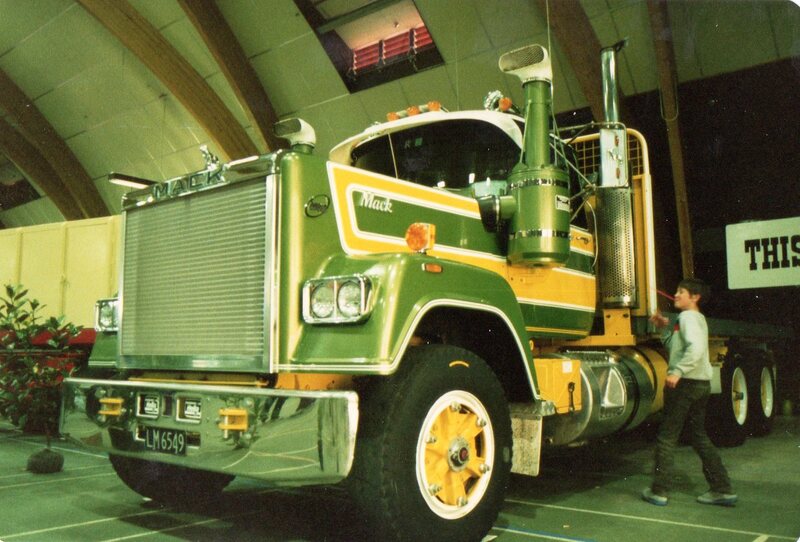 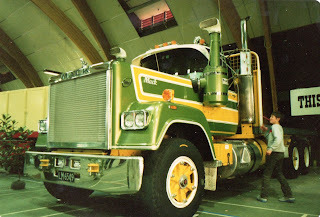 Mack Superliner at the same event. 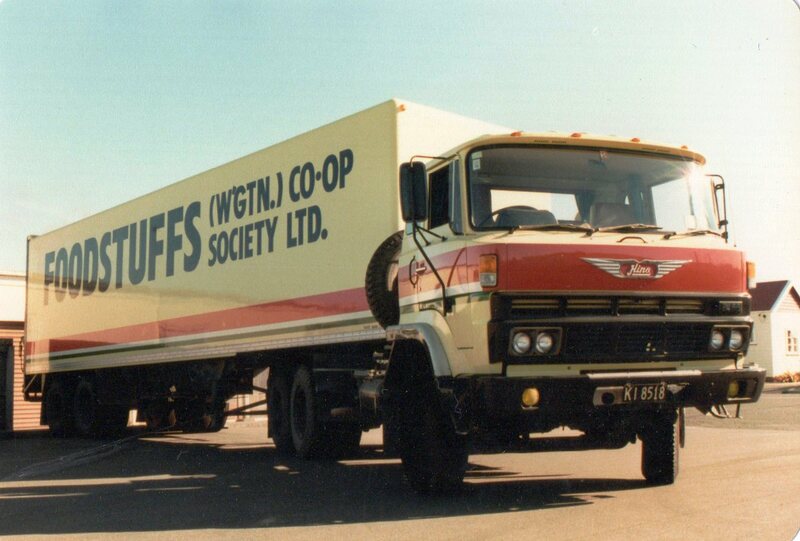 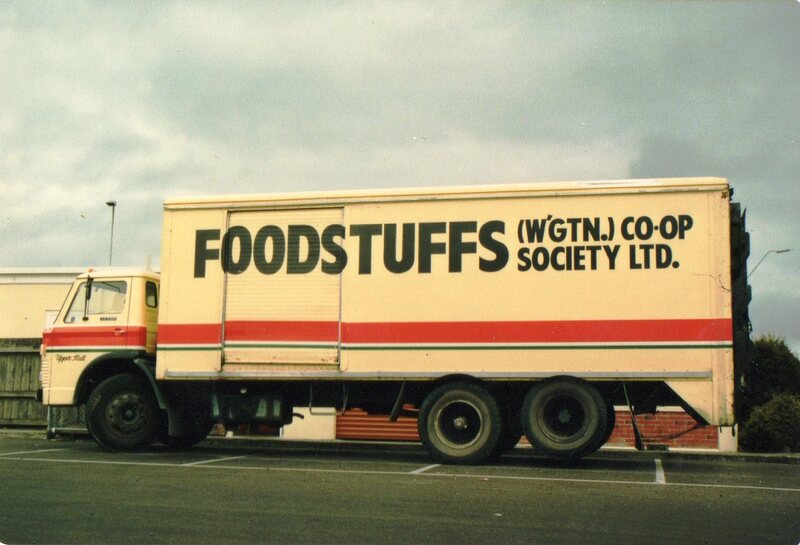 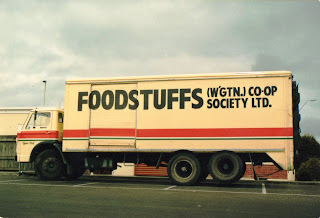 A ZM Hino of Foodstuffs unloads at Kuripuni New World supermarket in Masterton. Old 6x2 D series Ford with raised axle at Kuripuni New World again. 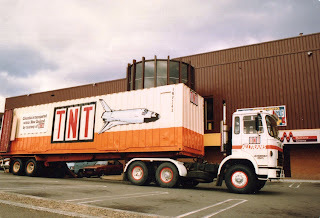 The whole Kuripuni New World complex took up the area of what is now just the customer carpark of the much larger Pak n' Save supermarket which now stands here.